Dozens of federal workers and government contractors who have not seen a paycheck in weeks say they've been forced to seek out help where they can find it. This Baltimore food pantry event took place two days before some 800,000 federal workers are due to miss a second paycheck. With the partial government shutdown in its 33rd day, dozens of federal workers and government contractors who have not seen a paycheck in weeks say they’ve been forced to seek out help where they can find it. 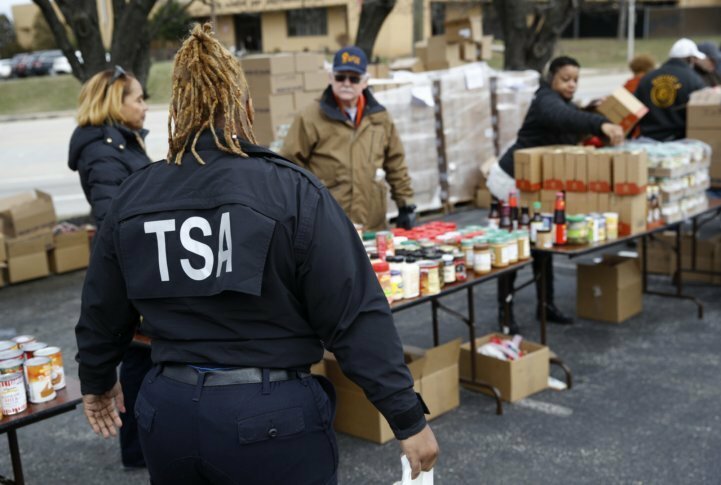 The Baltimore food pantry event took place two days before some 800,000 federal workers are due to miss a second paycheck. Bobby Shackleford, an employee of the U.S. Coast Guard for roughly 20 years who has been working without pay since late December, said he helped organize Wednesday’s food giveaway because he knows the cash crunch for many federal workers is punishing. He said he’s got to “dig a little deeper” in his own freezer to prepare meals in recent days. “Missing a paycheck hurts, man. I’m used to paying bills on time. 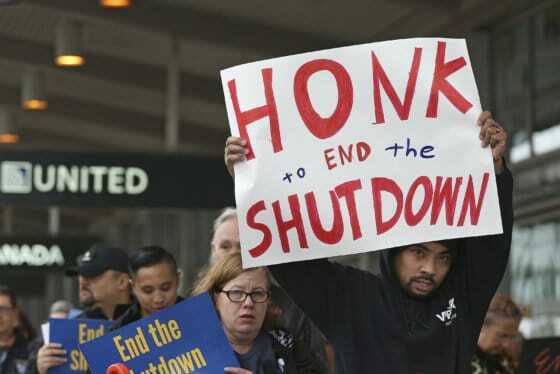 I’ve been working 20 plus years of my life and I’ve never seen a situation like this,” said Shackleford, who is also a union official for American Federation Government Employees Local 1923. Michael Westmoreland, a 56-year-old who also works for the U.S. Coast Guard, said he had to swallow some pride in accepting food handouts for his Maryland household, which includes two grandchildren. But his family has been forced to tighten belts since he was furloughed. “I was a little reluctant to come out. But talking to the wife we decided we’d see what kind of assistance we could get,” said Westmoreland, who served eight years of active duty with the Army National Guard and has worked for the federal government for some 15 years. It wasn’t just federal employees showing up to the Baltimore parking lot seeking food assistance. There also was a smattering of government contractors struggling to make ends meet amid the impasse in Washington. Therese Easley, a Baltimore woman who does contractor work for the Food and Drug Administration, said she was increasingly making tough choices about which bills to prioritize and which ones to let sit until America’s political leaders get their act together. Top of her list: Continuing to chip away at her mortgage. “I’ve invested too much into it to let it go,” she said, holding a couple of bags with donated peanut butter, bagged greens and canned beans. The stalemate over funding a U.S.-Mexico border wall has produced the longest partial government shutdown in U.S. history. Trump embraced the shutdown in December in large part because of angry warnings from his most ardent supporters that he was passing up on his last, best shot to build the wall before Democrats took control of the House in the new year.